More than three years ago, an expert committee had recommended that India’s largest private multi-port operator, Adani Ports and Special Economic Zone, should pay Rs 200 crore for causing environmental damage at Mundra in Gujarat. Today it is set to expand its operations but has not paid a paisa for the damage. The Union environment ministry had set up the expert committee in September 2012 to look into the complaints of violations of the environmental clearance and coastal regulation zone conditions, and the damage to the coastal ecology of Mundra. 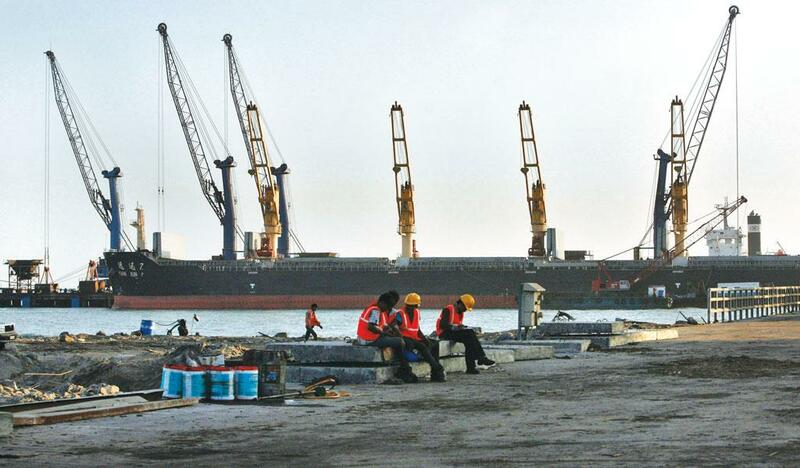 Farmers’ and fishers’ organisation Kheti Vikas Sewa Trust, along with fishers’ group Machimar Adhikar Sangharsh Sangathan, had complained about the severe impact of Adani’s port development activities in the Kachchh region. These included blocking of creeks, destruction of mangroves, mismanagement of fly ash from Adani’s thermal power plant, groundwater pollution and loss of livelihood of the fishing communities. In April 2013, the committee report—based on a review of official documents, field visits and meetings with the community and company representatives—noted that the “Adani waterfront and power plant project, which has been granted clearance in different phases beginning 1995”, has led to massive ecological changes with adverse environmental impacts (see ‘Adani’s violations’). It recommended that the ministry “should impose a substantial deterrent for noncompliance and violations through the creation of an Environment Restoration Fund”, or ERF, for the area. It determined an amount of Rs 200 crore for the fund, or 1 per cent of the project cost, whichever was higher. Recently, Kheti Vikas Sewa Trust and the community at Mundra brought it to the attention of Down To Earth (DTE) that Adani is yet to pay the money for the restoration fund. The ministry says it has not withdrawn the demand for the fund, but the fine was “not backed by any law under the Environment Protection Act and was not legally correct”. It also hinted that the company may have to spend a bigger sum than the recommended fine. The government has “directed for more stringent conditions with open ended financial commitment” for restoration and conservation, the ministry said in a statement. In September 2013, the ministry had issued a show-cause notice to the company, based on the committee report. In response to the notice, the company “requested that the Ministry should reconsider setting an ERF for Rs 200 crores which has been subjectively arrived at”. Two years later on September 18, 2015, the ministry issued an order, noting that the “existing legal provisions under the Environment Protection Act, 1986 do not provide any authority to impose ERF by the government”. The community suspects that Adani has used the September 2015 order as an excuse to refrain from payment. Naran Gadhavi of Kheti Vikas Sewa Trust and Bharat Patel of Machimar Adhikar Sangharsh Sangathan expressed the same fear. No response could be obtained from Adani despite several calls. Experts say the Environmental Protection Act does constrain the government on how it can impose a fine. DD Basu, former additional director of the Central Pollution Control Board, points to Section 15 of the Act, which outlines penalty provisions, but stipulates a “specific amount” of fine. Undeterred, Adani has proposed expanding its 4,620 megawatt (MW) thermal power plant in Mundra. Adani Power Limited has proposed to add another 3,000 MW in an ecologically fragile area. In May 2016, the Expert Appraisal Committee (EAC) of the environment ministry observed that the proposed site for expansion is “situated very close to a network of estuarine (creek) ecosystem and mud flat forests”. The proposed expansion will also encroach on more than 200 hectares of Siracha-Danderi Reserve Forest that “serves as a shield to prevent silting of creek ecosystem complex” and helps in maintaining its high productivity, said the EAC. For now, Adani has been asked to look for another site. Mangrove destruction: 75 hectares of mangroves have been lost in Bocha Island, a conservation zone, which should have been safeguarded. Blocking of creeks: No precautions were taken by the company to guard against blocking of creeks because of construction activities; satellite imagery shows signs of deterioration and loss of creeks near the proposed North Port. Water pollution: The company has not taken stipulated measures to ensure that the water intake and outfall channels of the thermal power plant and storage tank are lined so that there is no salinity contamination of groundwater. Prevention of soil and groundwater pollution was a clear condition set at the time of clearance. Fly ash management: The company was found to be wanting in maintaining an inventory of its fly ash utilisation and disposal. Non-serious approach on reporting: The company has been less than serious about reporting on compliance with the conditions set at the time of clearance. In many cases, non-compliance with reporting conditions was observed. The story was published in the 16-31 July, 2016 issue of Down To Earth magazine.